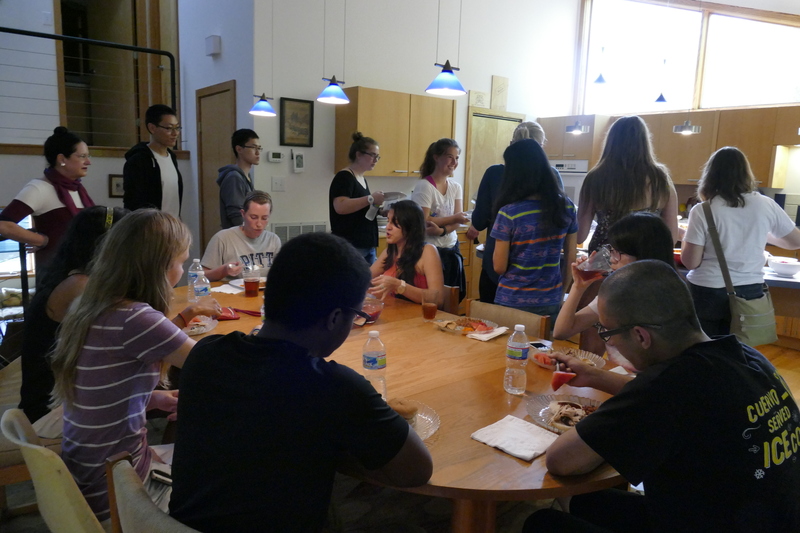 Fireflies, Farms, Food: NIMBioS SRE 2015 Underway! 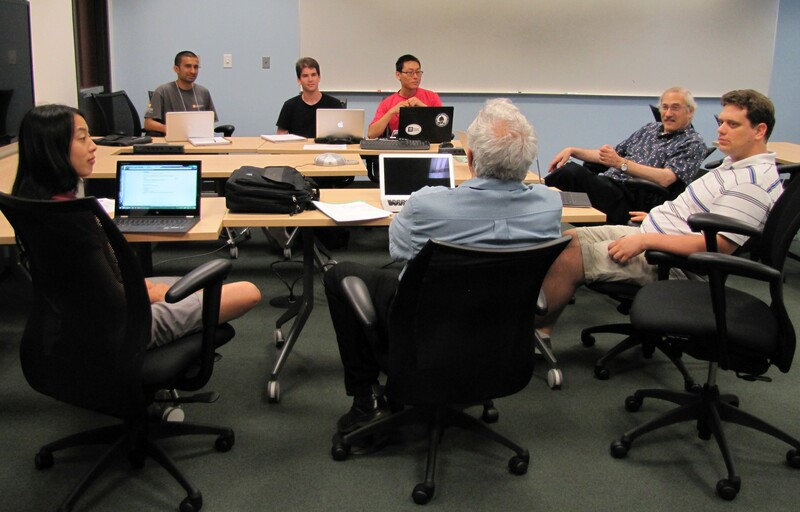 The 2015 NIMBioS Summer Research Experpience (SRE) for undergraduates and teachers just wrapped up its third whirlwind week. 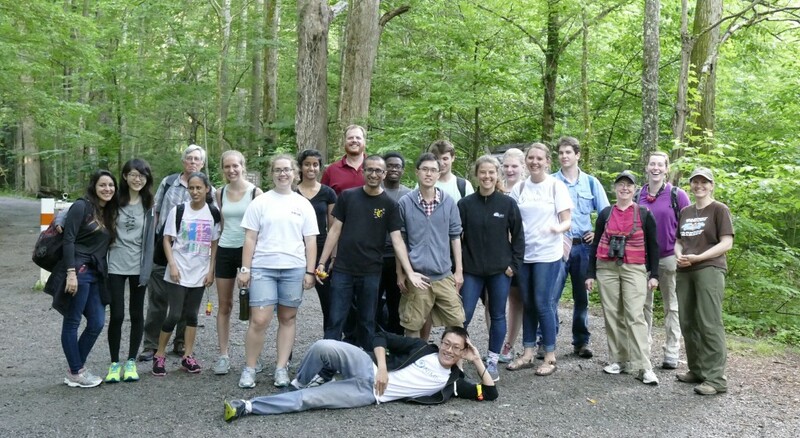 Already participants have gone on the annual pilgrimage to see the synchronous fireflies in Great Smoky Mountains National Park, eaten yummy food at welcome parties and barbecues, and taken part in tutorials on programming, mathematical modeling in life sciences, 3D printing and more. All have gotten off to a great start on their research projects. The eight week program is sure to go by too fast! SRE’s at the welcome party, for many of them their first night in Knoxville. The Invasive Species group meets with their mentors. 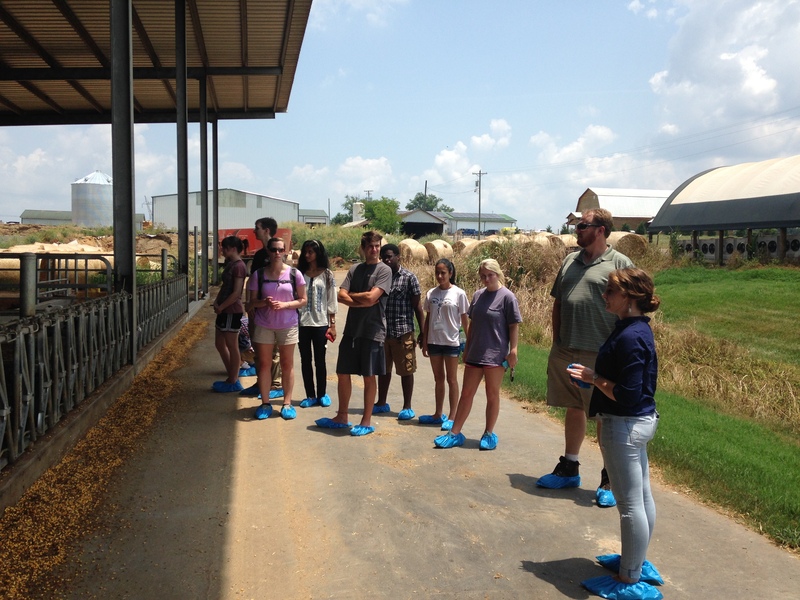 The Host-Pathogen and Tuberculosis SRE groups tour a local dairy farm to learn about how cattle are managed to prevent the spread of infectious diseases. This entry was posted in disease, Education/Outreach, research, REU/REV, SRE, Teachers, undergraduates and tagged Education, Education/Outreach, research, REU/REV, SRE, teachers, undergraduates. Bookmark the permalink.